Aggada represents a uniquely important aspect of the Talmudic corpus. While legal sections of Talmud constitute the bedrock of Jewish life and religious practice, aggadic sections explore the rich world of Jewish ethics, psychology, wisdom, philosophy, and theology. Fresh Fruit and Vintage Wine: The Ethics and Wisdom of the Aggada opens a window into this world for scholar and layman alike. Rabbi Yitzchak Blau has taught at the Yeshivah of Flatbush and Yeshivat Hamivtar, and written for the Yeshivat Har Etzion Virtual Beit Midrash. He currently serves as the Rosh Kollel at Yeshivat Shvilei Hatorah in Jerusalem. To order with SPECIAL 20% OFF discount $19.96. Often we find it difficult to concentrate on the prayers we recite, due partly to a lack of understanding of the biblical poetry in the tefillot. The Poetry of Prayer aims to unlock the mystery of the various psalms which comprise the tefillah. To order. Available also in Har Etzion office. Rabbi Avi Baumol was first introduced to the study of Tehillim (Psalms) in his first year Bible course at Yeshiva University by Rabbi Mordechai Cohen who inspired him to begin to appreciate the words of the Bible from a poetic perspective as well as a literal one. He continued to be influenced by his Rabbis and colleagues during his studies in Israel at Yeshivat Har Etzion, and ultimately began to write his Tehillim class as part of the Virtual Beit Midrash project. אנו שמחים להודיע על הוצאה לאור של ספר שיעורים חדש של הרב דניאל וולף הנקרא מנחה טהורה. כהמשך מספר הקודם מטופל סוגיות יסוד אבל הפעם בסדר טהרות. הספר הוא מסודר וערוך לפי נושאים ונותן פתח לעולם חדש בכל נושאי טהרות. הספר ברור ומסודר להפליא ומהוה פתח לעולם חדש זה. גם למדנים עם היכרות יותר מעמיקה של הנושא ימצאו בו פנינים וחידושים רבים. יש אפילו טיפול בכמה סוגיות הלכה למעשה - ביקורי כוהנים לאתרים בפולין וטיסה מעל בתי קברות. Works by Rav Yosef Dov HaLevi Soloveitchik zt"l Reprinted! הוצאת ידיעות ספרים גאה להכריז על הזכות להוציא לאור מחדש את סדרת "מאוצר הרב", המביאה לציבור כתבים נבחרים מתוך אוצר חיבוריו ודרשותיו של הרב סולוביצ'יק, מגדולי הוגי הדעות בדורנו. Adam u-Beito, Shesh Masot al Chayei ha-Mishpacha -אדם וביתו שש מסעות אדם וביתו - על חיי המשפחה [translation of Family Redeemed] consists of six essays on family relationships drawn from the treasure trove of unpublished manuscripts left by Rabbi Joseph B. Soloveitchik after his death. To order. Min HaSe'ara, Masot al Aveilut, Yissurim ve-ha-Matzav ha-Enoshi - מן הסערה, מסות על אבלות, ייסורים והמצב האנושי [translation of Out of the Whirlwind] contains nine chapters articulating a Jewish response to the phenomena of crisis and suffering, and a Jewish theory of mental health and the role of the emotions, by Rabbi Joseph B. Soloveitchik, compiled after his death. To order. Building on the classic work of Jewish thought, The Kuzari, noted Orthodox thinker Prof. Shalom Rosenberg takes readers through the Jewish views that have been voiced throughout the ages and shows how they can be transformed into a compelling worldview in this postmodern age. Intellectually stimulating and philosophically creative, this important work made large waves when published in Hebrew and is now being offered to the English-reading public. Prof. Rosenberg teaches at Har Etzion’s affiliate Yaacov Herzog College and authored the VBM Jewish philosophy series “Jewish Philosophy Confronts the Modern World,” the basis for this book. Rabbi Yehuda Amital was born in Hungary in 1924 and attended cheder and yeshiva there. During the Holocaust he survived a Nazi labor camp, but his parents and siblings perished in Auschwitz. After his liberation in late 1944, he immigrated to the Land of Israel, studied at the Hebron Yeshiva, and received his rabbinical ordination from Rabbi Isser Zalman Meltzer. While in yeshiva he joined the Haganah, and fought in the battles of Latrun and the Galilee during Israel's War of Independence. An educator for over five decades, Rabbi Amital was among the creators of the hesder yeshivot, which provide a framework for religious students to both study Torah and serve in Israel's military. He established Yeshivat Har Etzion in 1968 and has headed it for forty years, building it into an internationally recognized center of advanced Torah scholarship and service to the Jewish people. Moses, master prophet and teacher, devoted the lion’s share of his career to his role as leader of Israel. MOSES: ENVOY OF GOD, ENVOY OF HIS PEOPLE follows the path of Moses’ development as a leader from the moment he appears on the scene as a young lad in Egypt until his departing farewell address to his flock. The book details crisis and commitment, frustration and doubt, selfless devotion and identification, along with trust and alienation. All of the relevant episodes, from the first encounter between Moses and the quarreling slaves to his dealings with the second generations are analyzed and examined, from the perspective of the relationships between the leader and the people. The method of interpretation is based upon a literary analysis of the text that attempts to delve into the inner world of the leader and his interactions with the people. The result is a Medrash oriented approach that creates a fascinating combination of textual analysis and emotional insight. Special 20% off regular price for VBM subscribers - $28. To order. VBM discounted price in Israel: 139 NIS. To Order IN ISRAEL click here or call M. Pomeranz Bookseller, 02-623-5559. This book explores fundamental philosophical and theological issues arising in the Book of Genesis. It presents the richness of Jewish thought and notes its uniqueness in comparison with other approaches. Some of the topics addressed include religion and science, commandment and morality, individual and society, faith, guilt, evil and equality. Special 20% off regular price for VBM subscribers - $28. To order. VBM discounted price in Israel: 139 NIS. To Order IN ISRAEL click here or call M. Pomeranz Bookseller, 02-623-5559. Alonei Etzion - CD with thousands of Torah articles! מאגר עלוני ישיבת הר עציון עכשו על תקליטור! הדפדוף והחיפוש במאגר מתבצעים באמצעות תוכנה שנבנתה במיוחד לצורך זה. יצא לאור ספרו של הרב אמנון בזק - 'נקודת פתיחה - עיונים קצרים בפשוטה של פרשת השבוע'. בספר נכללים דברים שנכתבו במסגרת המדור 'נקודת פתיחה' בעלון השבועי 'שבת בשבתו', בשנים תשס"ג-תשס"ה. את העיונים מאפיינת גישת הלימוד על פי פשוטו של מקרא, תוך שימוש בכלים ספרותיים מגוונים. הספר יצא לאור על ידי מכון 'צומת', וניתן לרוכשו על ידי חיוג למספר הטלפון - 02-9932111. מחיר הספר: 27 ש"ח. $12 כולל משלוח לחו"ל. יצא לאור ספרו החדש של הרב דני וולף "מנחה לאהרן", וניתן להשיג אותו במשרדי הישיבה 02-9937300. הספר עוסק בסוגיות מרכזיות בסדר נשים ודן בשאלות העיקריות העומדות ביסודן, עם נפקא מינות. הספר מבוסס על סדרת שיעורים רב-שנתית שהרב דני מעביר בישיבה בערבים, השואפת להקנות לתלמידים ידע בסיסי בסוגיות חשובות מכל תחומי הש"ס. השיעורים הנ"ל מחולקים לפי חלקי השלחן ערוך, והספר הזה מביא לאור הדפוס את חלק ה"אבן העזר" מביניהם. מחיר הספר: 40 ש"ח כולל משלוח. $15 כולל משלוח לחו"ל. מצפים להוצאה חדשה. יצא לאור ספרו החדש של הרב אלחנן סמט "יד לרמב"ם", וניתן להשיג אותו במשרדי מכללת הרצוג 02-9937333. דור דור ופרשניו, דור דור ומבארי חיבורו הגדול של רבנו משה בן מימון. ספר זה כולל מאמרים בנושאי הלכה שונים הקשורים בשיטת פסיקתו של הרמב"ם בהשראת שיעורים שהעביר הרב סמט בישיבה. JEWISH VALUES IN A CHANGING WORLD. Author: Rav Yehuda Amital. This volume encapsulates Rabbi Amital's educational philosophy. It discusses both general issues, such as the importance of natural morality and what it means to fear God in today's world, as well as deeply personal matters, such as dealing with crisis and developing the ability to make decisions independently. While highlighting the importance of expressing one's individuality, Rabbi Amital also emphasizes the need to be part of the community. Rabbi Amital's philosophy is particularly marked by its insistence on the importance of the interpersonal commandments, of being a mensch, and of respecting all people created in God's image. He advocates a fully human engagement in religious life, believing that religious life does not contradict one's humanity, but rather must flow from one's humanity. This work combines the freshness and vigor of youth with the maturity and wisdom of age to produce an ideology for our times. To order IN ISRAEL click here or call M. Pomeranz 02-623-5559. A WORLD BUILT, DESTROYED AND REBUILT. Rabbi Yehudah Amital's Confrontation with the Memory of the Holocaust. Author: Moshe Maya. Sixty years after the annihilation of European Jewry, the philosophical and existential confrontation with the memory of the Holocaust is only intensifying. In this context, there is particular significance to the views of thinkers who experienced the horrors of the Holocaust first-hand. Rabbi Yehudah Amital, who has served for almost forty years as head of one of Israel’s leading yeshivot, Yehivat Har Etzion, is a Holocaust survivor. Throughout his career, he has attempted to address the Holocaust and its ramifications on both the educational and spiritual levels. Rabbi Amital’s confrontation with the memory of the Holocaust is characterized by authenticity, honest and courage. This book analyzes his original religious approach, against the background of other views, especially those of his fellow Religious Zionists. This powerful work presents the reader with the direct and painful grappling of a trailblazing educator and thinker with the most terrible event in human history. The original hebrew version of this sefer, Olam Banuy ve-Charev u-Banuy, HaRav Yehuda Amital, LeNokhach Zikaron HaShoah is available for 35 NIS, including shipping in Israel; $12 including shipping overseas. עולם בנוי וחרב ובנוי, הרב יהודה עמיטל לנוכח זיכרון השואה, 35 ש"ח כולל משלוח, $12 כולל משלוח לחו"ל. In recent years, Religious Zionist youth in Israel have experienced a spiritual upheaval, one that has assumed almost crisis proportions. Exposed to trends in both global culture and Israeli society, they find themselves wavering between extremes: radical individualism vs. community-consciousness; mitzva observance based on commitment and obligation vs. the search for subjective meaning; and religiosity based on knowledge vs. religiosity based on experience. In this booklet, Rav Yehuda Amital, rosh ha-yeshiva of Yeshivat Har Etzion, examines these trends and charts a meaningful path towards confronting the educational challenges of our generation. 15 NIS, including shipping in Israel. $5, including shipping overseas. To order, please call Yeshivat Har Etzion 02-993-1456, or email office@etzion.org.il. This book is also available in the original hebrew - Bein Hitchabrut Le'Mechuyavut; 10 NIS, including shipping in Israel; $4, including shipping overseas. Leaves of Faith volume 1: The World of Jewish Learning. 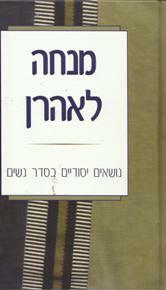 Author: HaRav Aharon Lichtenstein. Leaves of Faith volume 2: The World of Jewish Living. Author: HaRav Aharon Lichtenstein. By His Light: Character and Values in the Service of God. Author: HaRav Aharon Lichtenstein. Each sefer - 45 NIS including shipping in Israel; $20 including shipping overseas. Ma'amar Yevamin on Massechet Yevamot. 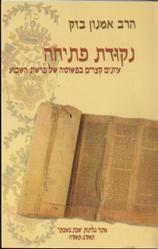 This sefer, in Hebrew, produced by the Kollel Gavoha of Yeshivat Har Etzion, reflects the arduous labor of a year of limud, and is the first sefer by the yeshiva to deal with Massechet Yevamot. Among the 24 articles included, there are two new articles by HaRav Aharon Lichtenstein shlit"a, as well as by his son Rav Mosheh, the Rosh Kollel Gavoha. 40 NIS including shipping in Israel; $25 including shipping overseas. and click on the Order Link appropriate to your area. Leaves of Faith Vol. 1 & 2, Price in USA $29.50; Price in Israel FOR Har Etzion/VBM SUBSCRIBERS 139 NIS. By His Light Price in USA $25; Price in Israel FOR Har Etzion/VBM SUBSCRIBERS 100 NIS. If you do not have access to the Internet, for orders in the USA, contact Ktav Publishing House – orders@ktav.com or call 201-963-9524. For orders in Israel, contact M. Pomeranz Booksellers – pomeranz@netmedia.net.il - or call 02-623-5559. Musar, one of the elevating and enriching fields of traditional Judaism, is the branch Torah which is devoted to ethical self-improvement, through study and conscientious practice. While Musar’s emphasis on personal spiritual growth is more timely than ever, most people think of it as belonging to Eastern Europe of a century ago. Western society seems to have erected roadblocks which make the task seem formidable. Can this practice be tackled by Jews who are connected to modernity? Musar for Moderns claims that it can, and must. The book endeavors to guide the reader in trying to overcome the obstacles to serious spiritual progress, while sensitively addressing the concerns and conflicts that typify the intellectual climate in our materialistic, media-saturated century. Revised and expanded version of the popular Yeshivat Har Etzion's Virtual Beit Midrash series. The book discusses scores of actual questions on ethical dilemmas in business as well as everyday life. 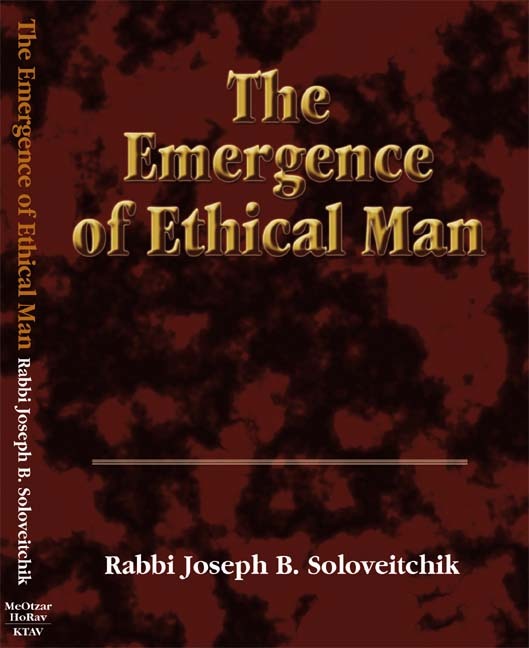 The author, Rabbi Dr. Asher Meir, not only gives answers but also provides a lucid and inspiring presentation of underlying ethical concepts, with special emphasis on the insights of Jewish tradition. The discussions sensitize the reader to ethical concerns in all areas of life, and build a comprehensive foundation of concepts to help resolve these concerns. In discussing topics such as marketing, human resources, and fair competition, attention is given to many up-to-date issues; and there is an entire chapter dedicated to “ethics on the Internet”. A lucid and thought provoking commentary on the daily practice of mitzvot, based on the classic, Kitzur Shulchan Arukh. This book encompasses the entire range of Jewish observance including prayer and holidays, kashrut and family purity, marriage customs, and many other topics. The author draws on a variety of sources to comprise his commentary, including Talmudic insights, Aggadah, Midrash, and Chasidic masterpieces. This book originally appeared as the VBM Series Meaning in Mitzvot. 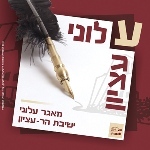 < FONT>La-chodoshov Yevaker [in hebrew] by Rav Yehuda Shaviv. יצא לאור ספרו החדש של הרב יהודה שביב "לחדשיו יבקר". 160 עמ'. מחיר 40 ש"ח. לפרטים נוספים טל' 02-993-1025. < FONT>Tzir VeTzon [in hebrew] by Rav Mosheh Lichtenstein focuses on Moshe Rabeinu’s leadership from Egypt until Arvot Moav. 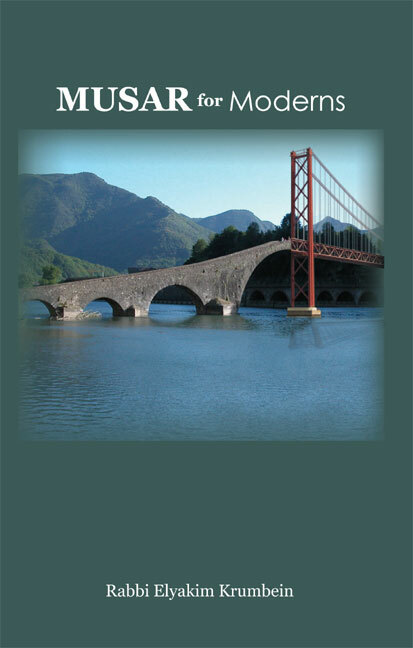 A concluding chapter deals with the exegical approach which is employed in the book. The book is partially based on shiurim which Rav Mosheh gives to his students on Parashat Hashavua on Thursday evenings in his home. 35 NIS including shipping in Israel; $12 including shipping overseas. < EM>David u-Bat-Sheva, HaChet, HaOnesh ve-ha-Tikun, (David and Batsheva - The Crime, the Punishment and the Restoration) [in hebrew] by Rav Yakov Medan, published by Tevunot, Herzog College, Yeshivat Har Etzion, 2002, 35 NIS including shipping in Israel; $12 including shipping overseas. Divrei Berakha ve-Mo'ed - Topics in Berakhot and Moadim - a collection of Torah articles by Yeshivat Har Etzion boger Rabbi Nati Helfgot in memory of his father, Shlomo David ben Moshe and Dina Rachel Helfgot z"l. The articles are the work of 20 years, beginning in 5742, when he was a Shana Aleph student at Yeshivat Har Etzion. 35 NIS including shipping in Israel; $12 including shipping overseas. Alon Shevut, the Yeshiva's Hebrew Torah publication containing articles by rabbis and students, published three times a year. Most recent issue: #168, Cheshvan 5768. Megadim, a scholarly journal in Hebrew, devoted to Bible Studies, published by the Herzog College three times a year. The 25th issue, was a milestone for Megadim. Published in an expanded format, we celebrated both a semi-jubilee of issues and a decade of publication. We added a cumulative index of the previous issues. The most current issue is #47, Tishrei 5768. We hope that the many participants and articles, as well as the comments and responses, which have appeared until now, have contributed significantly to the study of Tanakh in our times. Alon Shevut Bogrim, a Hebrew Torah Journal for alumni and friends arranged according to weekly sidra and holidays - produced every two months. Most recent issue: #22, Nissan 5768. Alei Etzion, an English Torah Journal produced by the Saks Leadership Program (fifteen issues produced to date). Netuim, a Hebrew publication devoted to the study of Mishna published by the Herzog College. Most recent issue - #14, Nissan 5767. Al Atar, the hebrew publication "Al Atar" is devoted to the Land of Israel, Biblical geography, and archeology. This journal is published in cooperation with the Torah Education Department of the Ministry of Education and the Israeli society for the Protection of Nature (ISPN). Most recent issue - #13-14, Elul 5767. Shtilei Etzion, a Torah journal written by Shanna Alef and Shanna Bet talmidim. Etzion Update, an English Bulletin produced three times per year for alumni and friends, containing Messages from the Roshei Yeshiva, and news about the Yeshiva, the Etzion Foundation, and alumni activities. If you would like to be on our mailing list please email us at office@etzion.org.il with your complete mailing address. It is also available on line at www.vbm-torah.org/update.htm . Adam u-Beito, Shesh Masot al Chayei ha-Mishpacha -אדם וביתו שש מסעות אדם וביתו - על חיי המשפחה [translation of Family Redeemed] consists of six essays on family relationships drawn from the treasure trove of unpublished manuscripts left by Rabbi Joseph B. Soloveitchik after his death. To order, call Sifrei Shalem, 02-538-0195. Min HaSe'ara, Masot al Aveilut, Yissurim ve-ha-Matzav ha-Enoshi - מן הסערה, מסות על אבלות, ייסורים והמצב האנושי[translation of Out of the Whirlwind] contains nine chapters articulating a Jewish response to the phenomena of crisis and suffering, and a Jewish theory of mental health and the role of the emotions, by Rabbi Joseph B. Soloveitchik, compiled after his death. To order, call Sifrei Shalem, 02-538-0195. Avoda SheBaLev - עבודה שבלב [translation of Worship of the Heart: Essays on Jewish Prayer] contains ten chapters on Shema and the Amidah. With profound insight and galvanizing passion, the Rav explores the crucial interface between living religious experience and halakhic norm. To order, call Sifrei Shalem, 02-538-0195. Zman Cheiruteinu - זמן חירותנו [translation of Festival of Freedom] - In these ten essays, the Rav explains how the resonances of the Seder extend far beyond the confines of one night, conveying the philosophy of Jewish history and opening vistas not just on the Jewish people's past, but on its present and future. To order, call Sifrei Shalem, 02-538-0195.